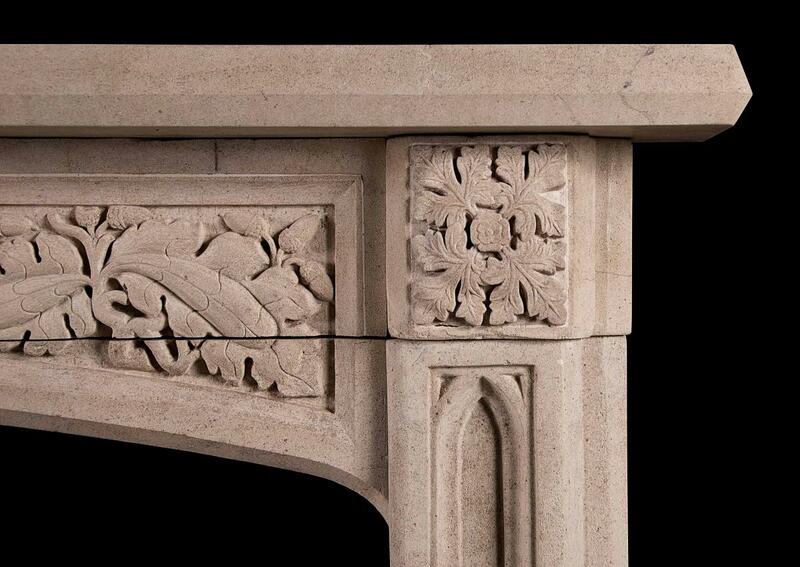 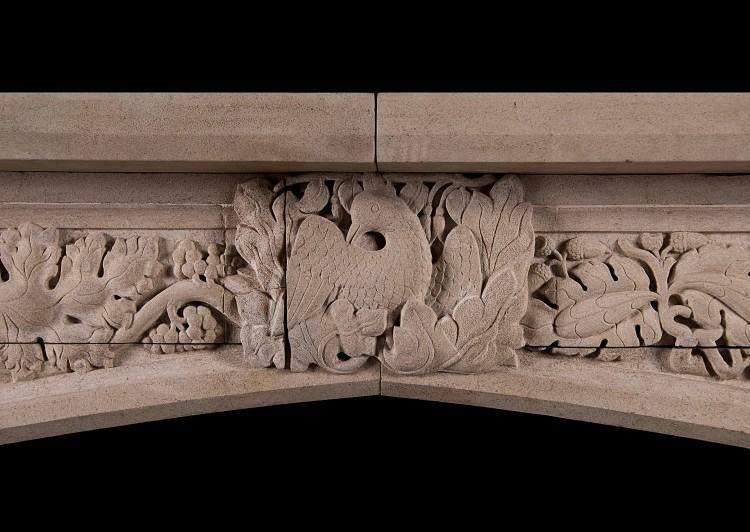 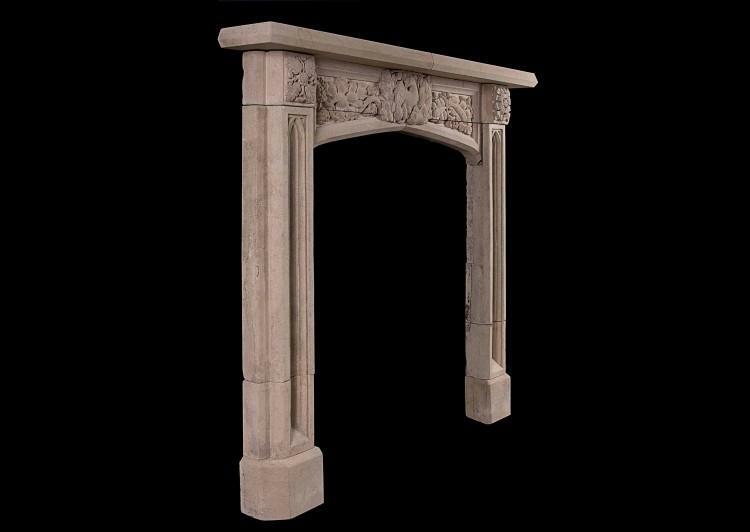 A well carved Gothic Revival Bath stone fireplace. 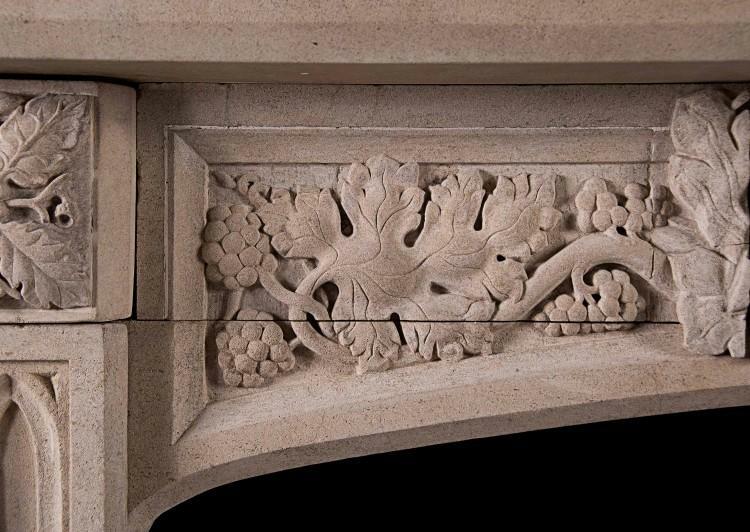 The focus of the arched frieze being a carved dove to the centre, the symbol of love and peace, juxtaposed with grapes and vine leaves on one side and oak leaves and acorns on the other. Panelled jambs surmounted by carved blockings of leaf detailing. 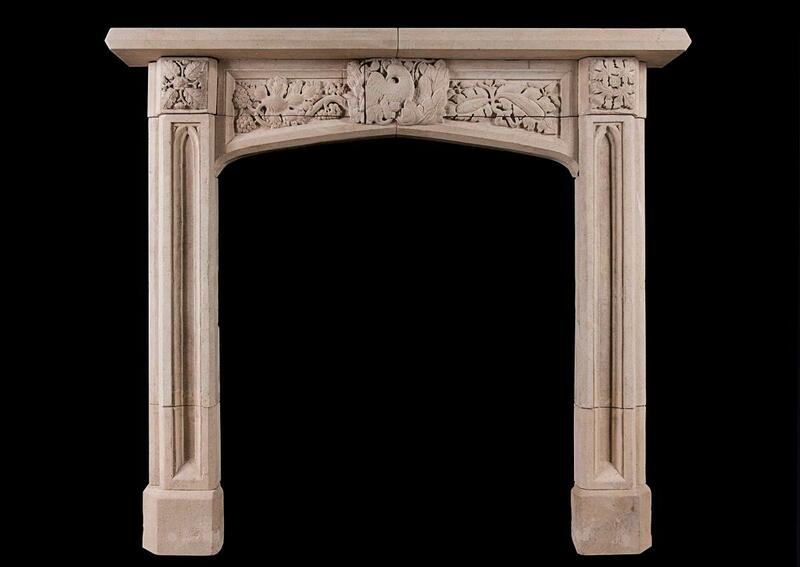 A rare piece – early 19th century or earlier.